Don't try to find me. Though the message on the kitchen white board is written in Marley's hand, her mother Rachel knows there has to be some other explanation. Marley would never run away. As the days pass and it sinks in that the impossible has occurred, Rachel and her husband Paul are informed that the police have "limited resources." If they want their 14-year-old daughter back, they will have to find her themselves. Desperation becomes determination when Paul turns to Facebook and Twitter, and launches FindMarley.com. But Marley isn't the only one with secrets. With public exposure comes scrutiny, and when Rachel blows a television interview, the dirty speculation begins. 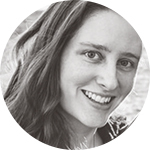 Now, the blogosphere is convinced Rachel is hiding something. It's not what they think; Rachel would never hurt Marley. Not intentionally, anyway. But when it's discovered that she's lied, even to the police, the devoted mother becomes a suspect in Marley's disappearance. Is Marley out there somewhere, watching it all happen, or is the truth something far worse? Wow. 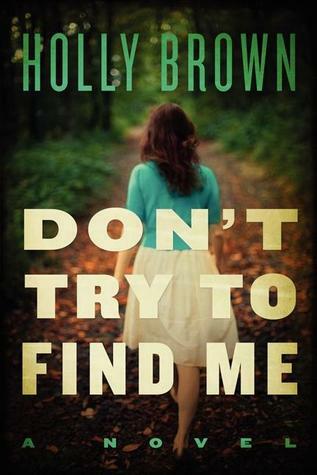 Don’t Try to Find Me is going to be a tough one to review! This book had so many different sides and layers; it’s almost hard to absorb. It’s also REALLY hard to talk about this book without spoilers. 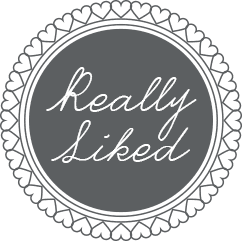 Those kind of reviews are always hard to write! It was hard and fascinating to read the chapters from Marley’s mom’s point of view. I felt really bad for her and her husband (Paul) because they were clearly both devastated, and I wanted to cry with them! But on the other hand, I was constantly suspicious because of what the synopsis said. I kept imagining the worst, like one of them secretly abusing Marley or something. I didn’t know what to think! But you could clearly see Rachel and Paul spiraling downwards and lose hope. They started out thinking Marley would be home in a few days or within the week at most… but when she didn’t come home, Rachel in particular became an emotional wreck (understandably). Secrets began to pour out and I started second guessing everyone and everything! Most of all, I loved how this book made me think. I was absorbing everything! Marley was kind of a reckless teenager, but her journal entries did make me see her side of things and really feel for her. But then I’d read her mom’s chapters and feel for Rachel too! I was so conflicted and didn’t know who to actually support. But it was really sad to see Marley try to convince herself that running away was what she wanted. You could see the red flags there, and see Marley try to explain them away.. then it spiraled out of control. I was just really drawn into the way it was written. It was like watching something horrible happen in slow motion. I think I almost had a morbid fascination with this book. Obviously the subject matter is pretty serious, but I was kind of addicted to it. I really wanted to know what happened and see the creepy bits unravel.. and maybe that in itself is kind of creepy of me! But overall it was a super interesting book and I definitely recommend it! This is the first I’ve heard about Don’t Try to Find Me. It seems really interesting and suspenseful. I read the spoilers (even though I haven’t read the book) because that’s how I am. I know someone in high school who met her husband online, too. He lived in Egypt though, so when she graduated, right after she walked across the stage and got her diploma, her parents took her to the airport and she flew off to Egypt. And then she married him! Aww that’s such a great story!! Just the title makes this sound compelling! I think I’ll keep an eye out for this one. Amanda recently posted: With books, is possession 9/10 of the law? I hadn’t even heard of Don’t Try to Find Me but I sort of kinda loved Gone Girl. I’m still not sure on my feelings of that book. I enjoyed the way it was told but didn’t love the ending. Based on the Gone Girl compassion in the synopsis and your recommendation, this one is definitely going on the list!